Once a center of charcoal production, the Malaysian coastal town of Port Dickson now attracts weekenders from Kuala Lumpur seeking a bit of sea, sand, and sun. From all reports (we didn't actually make it to the coast) the town's beaches are a disappointment and the waters off their shores polluted. Fortunately, however, seafood in the PD (as it's known to Malaysians) area does not disappoint, and even justifies the hour-and-a-half drive from KL. Gim Men Teppanyaki will be known to most local readers, if not by its proper name then as the 'seafood place with the painted tires out front' (the owners have employed old rubber as landscape design elements). It's a casual, open-air place set back from a quiet road in sleepy Kampung Arab. It's also often crowded, and every table seems to order heaps of food. So be prepared to wait for your meal. The Japanese name is a bit of a mystery; the owner, Mr. Tan, is Malaysian Hokkien Chinese. According to a few framed, faded newspaper articles hung around the cash register, he went to Taiwan with the aim of learning a few tricks with seafood, then came back to open the restaurant. 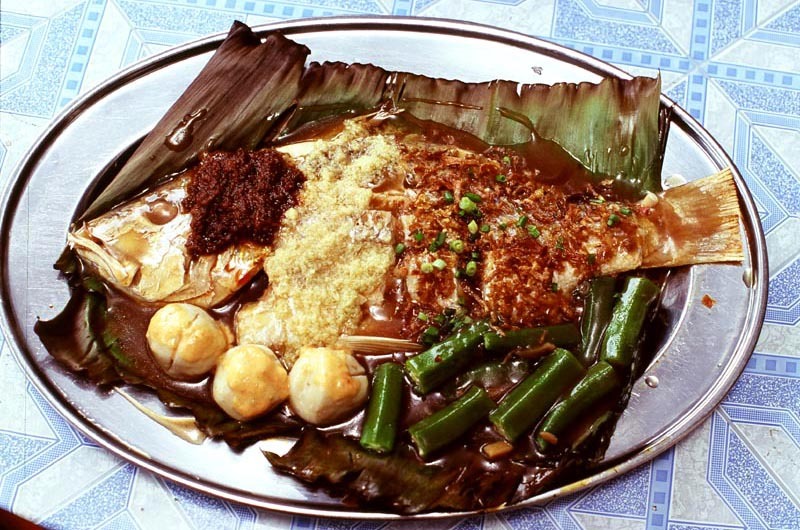 Tan's signature dish is griddle-grilled fish with three sauces. We chose hong zao yu (red snapper), and marvelled at its perfect state of doneness. Choosing a favorite from among the intensely aromatic ginger sauce, the soft and sweet caramelized shallot sauce, and the bite-y, belacan-full sambal proved difficult (being a lover of hot-spicy and fishy flavors, I eventually came down on the side of the sambal). The fish was served with crisp-tender lady fingers (okra) and, based on our choice, the restaurant's fish balls. The latter, a hard-to-find Hokkien specialty are stuffed with ground pork and worth ordering on their own, served in a light broth with plenty of Chinese greens. Tan's prowess in the kitchen extends beyond fish to prawns and squid as well. 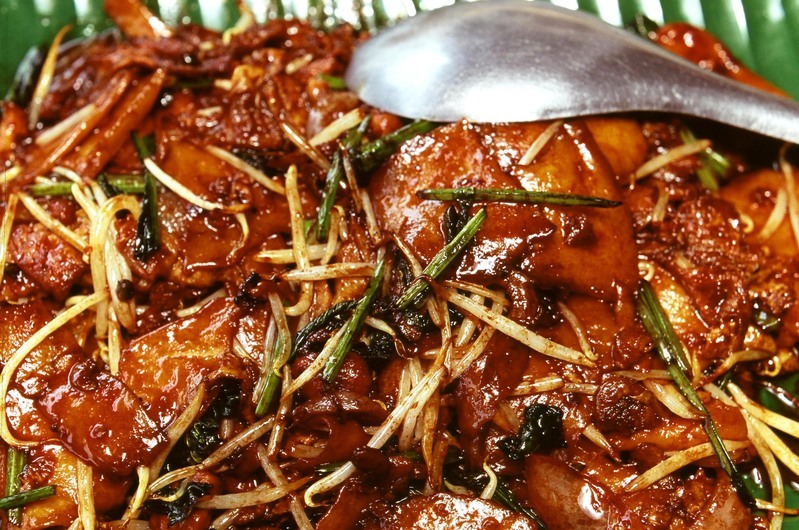 We skipped the former in favor of the latter, which arrived cut into big chunks, skillfully griddled with loads of browned ginger and shallot, with a lovely mound of sambal on the side. 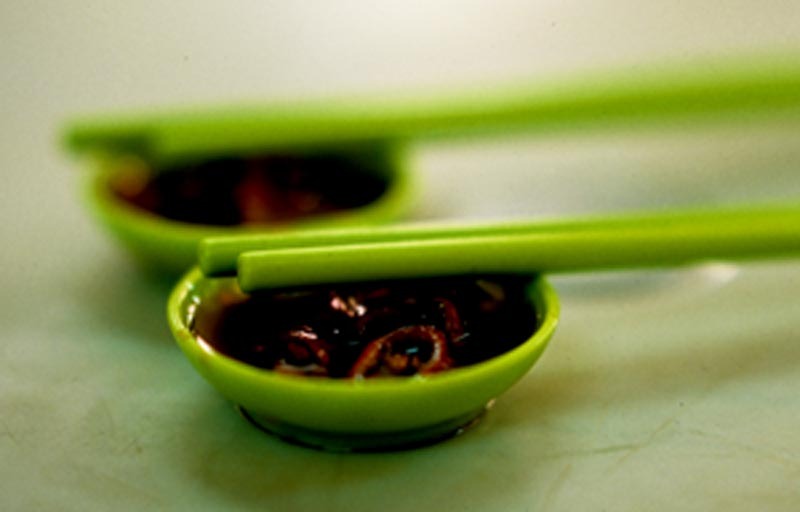 Squid can turn to rubber in the wrong hands, but the kitchen had prepared these specimens to perfection, at a heat high enough to sear nubs of ginger and shallot right onto the pleasingly tender pieces. It's not all seafood here. The restaurant's stir-fried mee huen kueh (wheat flour cakes) are worth a trip in and of themselves. These wide, extra-thick pieces of dough are now our favorite noodle. Wok-tossed with slices of fish cake, crispy dried shrimps, tofu skin, scallions, and bean sprouts and soaked with black soy, they absolutely reeked (in a good way) of smoky wok hei (the 'breath' of the wok) and evinced a very fine chew. All this, plus tea, proved enough to stuff three hungry diners. Dining companion S advised that Malaysians would probably find the price tag of 64 ringgit (about US$17) on the high side, but we'd gladly head back to the place with the painted tires for another round. Gim Men Tepanyaki, 103 Kampung Arab, Port Dickson, Negeri Sembilan. Tel. 06-647-4271. Thursday-Sunday 10am-230p and 5-10pm. Closed Monday-Wednesday. Sometimes we try to see Kuala Lumpur as we imagine first-time visitors (most of whom probably don't make it far beyond the Golden Triangle and Merdeka Square) do. The view isn't particularly inspiring. Beyond the majestic Petronas Towers (even folks like us who are saddened by the pellmell highrise-ization of Asian cities must admit that those twin towers are spectacular), KL is a mish-mash of uncharacterful buildings populating a poorly planned, stridently pedestrian unfriendly urban landscape. One could spend days in the city and come away with no clear sense of what Malaysia is and what it's about. That's because much of KL has been developed at the expense of neighborhoods. Shopping malls and 'entertainment districts' are all well and good but they don't lend much to the feel of an area. Only the people who inhabit a section of a city - who eat and sleep and play and shop and live there - can do that. We've been asked why we seem to prefer spending time in what might be called KL's 'seedier' sections. The answer is simple: it's primarily the parts of Kuala Lumpur that haven't yet been targeted for planned 'modernization' that still exude character and soul. In these areas, there's a there there, and it's usually pretty interesting. Take Sentul, a district about 15 minutes from the Golden Triangle. Googling brings up pages of crime reports; a tour by car turns up lots of Indian temples, a few Tamil schools, churches and mosques, tumbledown houses and concrete tenements, weedy vacant lots and more than a few cows grazing on medians. Sentul is a bit rough around the edges. On the surface it would seem to hold no attraction for anyone who doesn't live there. But it's got good eats. 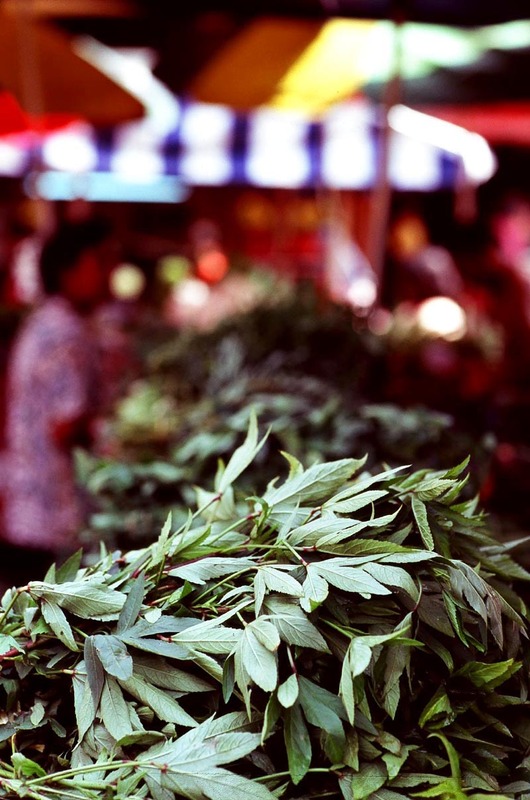 And it's got a lively little market that's probably one of our favorites in KL. 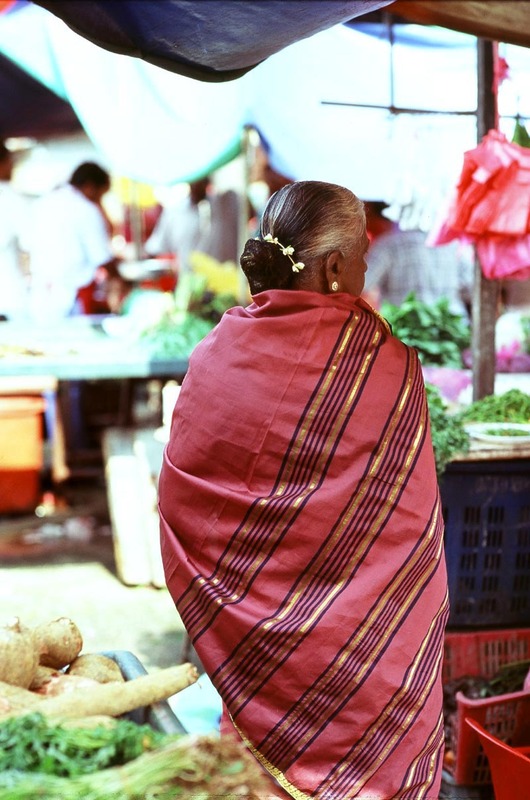 Pasar Sentul is a true neighborhood market; we reckon few shoppers treck from other parts of Kuala Lumpur to troll its stalls. Part of the market is housed in an old building with maybe 3 or 4 short aisles. The rest covers an adjoining conreted outdoor space. Decidedly urban - it sits astride busy Jalan Sentul, not far from a shopping center - it nonetheless has a kampung (village) feel. 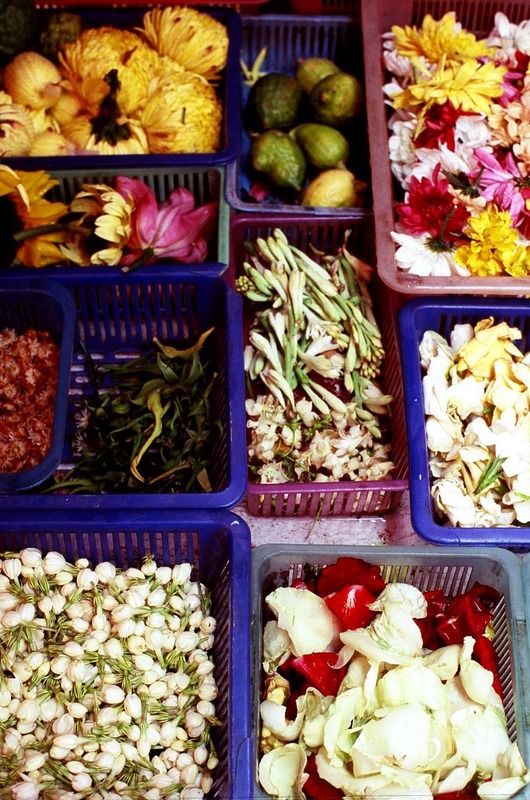 And it's mixed, vendors and their produce almost evenly divided between Malaysia's three main races and cuisines - a little microcosm of the country. 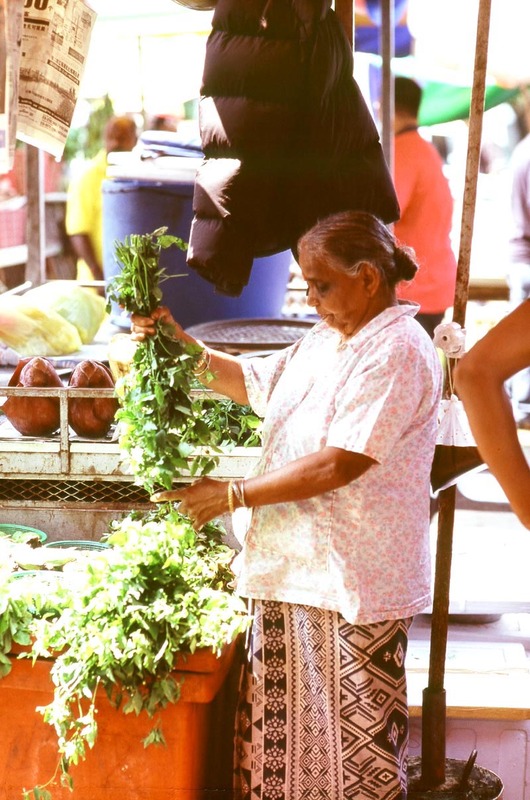 Nyonya, Hokkien, Hakka, Cantonese, Malay, Sumatran, Tamil, Punjabi - name a cuisine found in Malaysia and you will come across ingredients for it at Pasar Sentul. 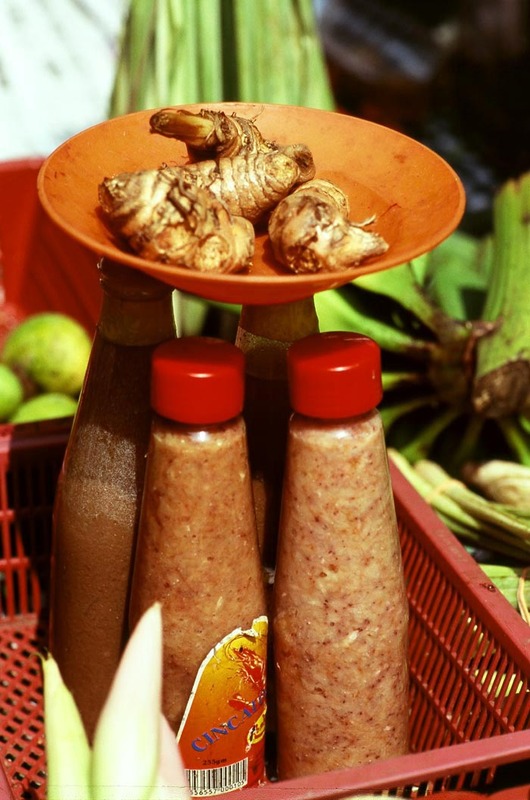 There's cincaluk, a fermented shrimp product that figures prominently in Melakan Nyonya food, and mangga telur ('egg' mangoes), dimunitive, tart green mangoes to slice and dip into a spicy sambal or shred for a refreshing Malay salad. as do flowers to be strung for offerings at Indian temples and petals and leaves for the mandi. 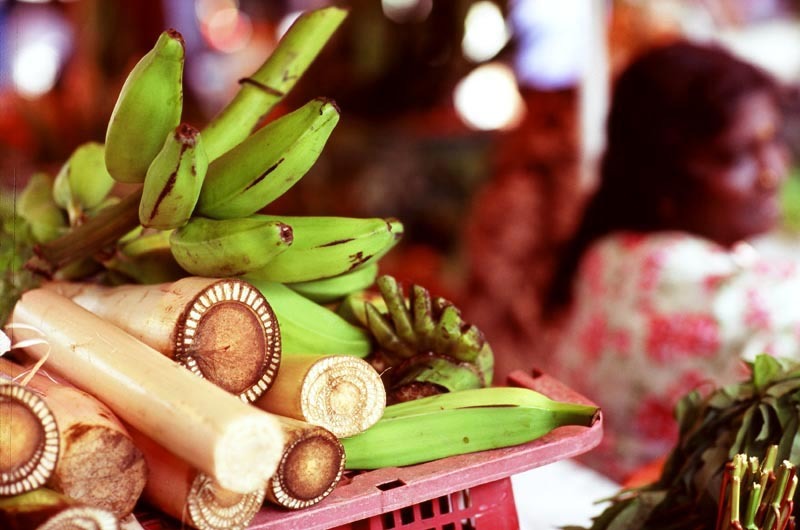 A couple stalls sell whole banana plants - dissected: trunk for adding to soups and curries, bananas for deep-frying, blossoms for tossing in a salad. and homemade lime pickles (these are, by the way, exquisite - fresh and limey, bitter from the peel, with a good hit of heat). At the end of it all, of course, is a snack or two to be had. 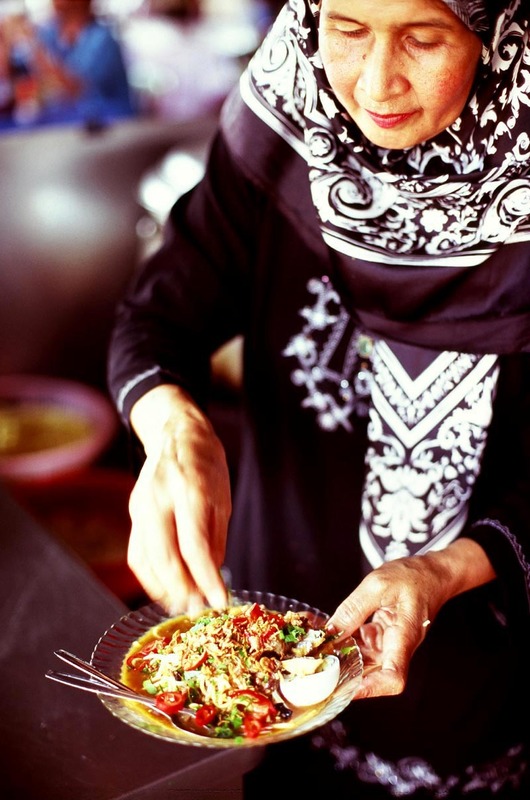 Next to the nasi lemak stall, across from the halal char kuey teow, and kitty corner to the freshly fried chickpea flour vadai and chewy-crispy appam, a sweet lady of a certain age, known by most every shopper who passes her establishment on the way into Pasar Sentul's outdoor section, serves Malay mee. Mee sup, yellow noodles swimming in a rich, beefy broth, is plain and simply satisfying. Mee bandung, more yellow noodles in a thickish sauce that's more tomato-ey and less sweet potato-ey than that cloaking other versions we've had around town, is spiked with plenty of chopped fresh chilies, cilantro, and fragrant fried shallots, a perfect pick-me-up after a spot of marketing. 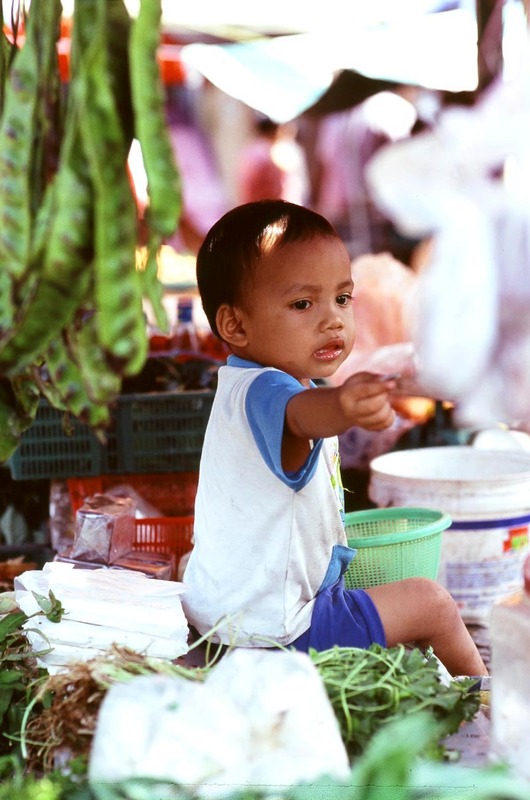 Pasar Sentul, Jalan Sentul. Daily from about 6am. Things seem to wind down by 10:30am or so. Mee vendor can be found to the left of the market building (if you're facing it), in the 'courtyard' leading to the market's outdoor section. Food bloggers share local knowledge in the January 2007 issue of UK's Olive magazine, guiding readers to the tastiest eats in Hanoi, Munich, Auckland, San Francisco, Paris, Madrid, Stockholm and - courtesy of moi - Kuala Lumpur. I haven't seen the issue yet, but I think you'll find a few of Dave's photos accompanying my writeup. 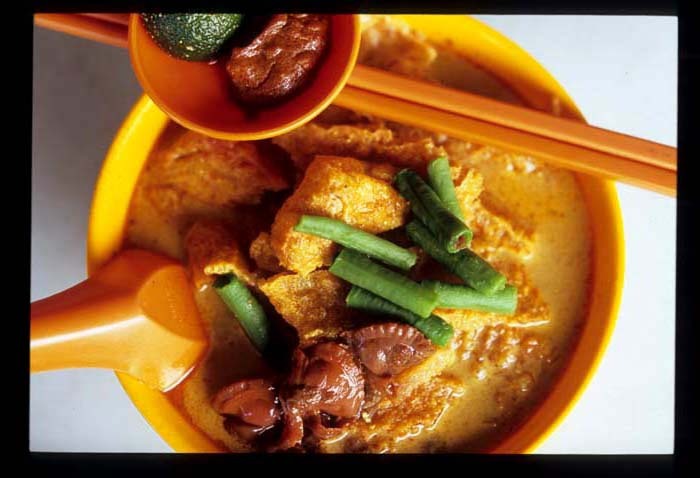 Malaysians, being a highly opinionated folk when it comes to their makanan (food), will no doubt take issue with my choices for Kuala Lumpur's 'Top Five' foodie experiences: Yut Kee, laksa (curry mee at Jalan Alor, assam laksa and laksa Johor at Deena's in Ampang Plaza shopping center), night markets (Lorong TAR and Bangsar), Malay food (Pinang Masak), and Nyonya cuisine at Precious in Kuala's re-habbed Central Market. Locals, before you chime in with your five cents' worth, please consider my editorial strictures. I was asked to choose five -- only five! 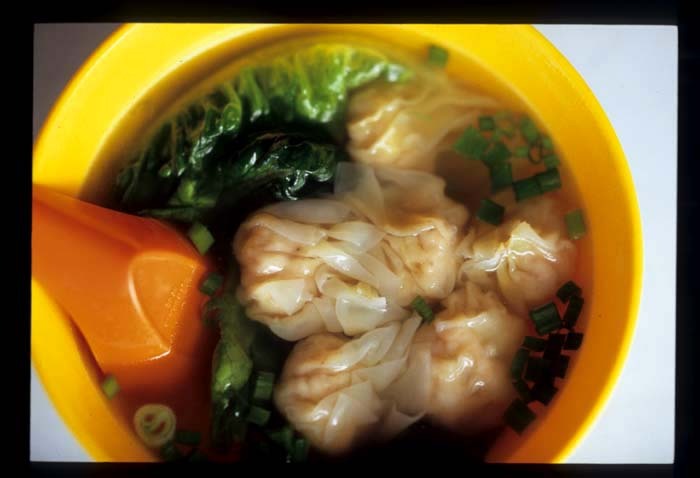 -- worthwhile chow experiences from a city that boasts hundreds, if not thousands. A pretty Herculean task, wouldn't you agree? I had to keep in mind that not every traveller is inclined to limit their meals to hawker stalls and open-air coffee shops. Finally, I thought it best to confine myself to spots within easy reach of Kuala Lumpur's downtown, where most travellers stay. 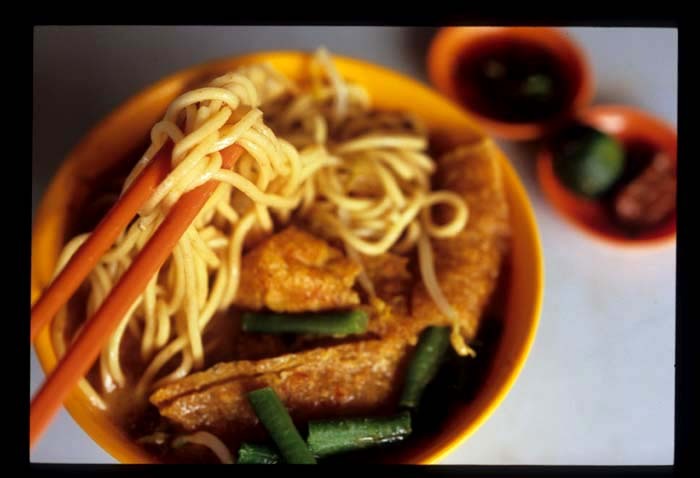 Let's face it, not many folks are disposed to investing 45 minutes or more in a cab ride out to the hinterlands simply for a bowl of noodles (especially in KL, where dealing with cab drivers can be a challenge). Happily, I can pad my Olive writeup right here on EatingAsia. 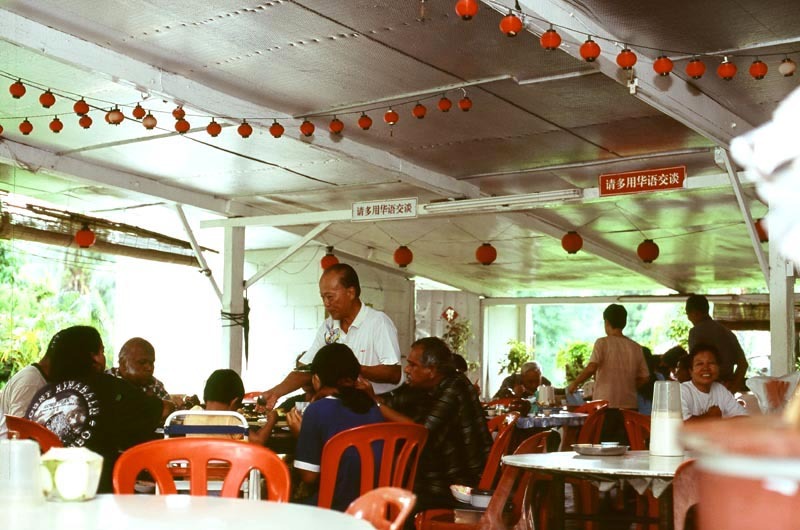 So, Olive readers (and anyone else) thinking of heading to what is arguably Asia's best - yes, that's right, BEST - food city (Ipoh and Penang don't really fall into the 'city' category), consider adding these must-try spots to your nosh itinerary. Some will require a cab ride, but I can guarantee the effort will be worth it. Curry laksa (curry mee) without peer, in Petaling Jaya. Pan mee (chewy flattish noodles) with poached egg and a zippy chile sauce in Chow Kit (see the second entry) and - for those who revel in a substantial, doughy noodle - 'regular' pan mee with pork and cloud ear fungus, served with a fantastically limey and spicy sambal, in Petaling Jaya. 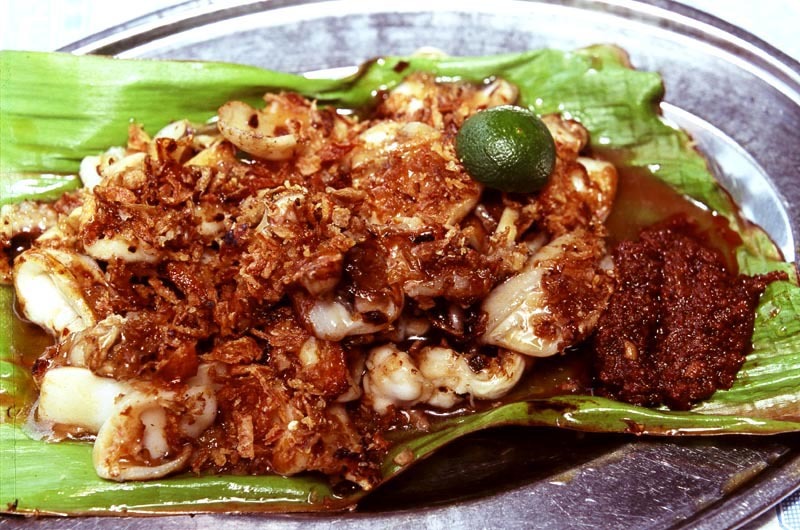 Sang har meen, a giant prawn dish that must be tasted to be believed, in PJ. Go for dinner. Superb ikan bakar - grilled fish - at the edge of the Lake Gardens, a popular tourist attraction in KL. Lunch only, and arrive by noon to assure a good selection of fish! See a neighboring stall for nasi lemak (coconut-scented rice with a choice of curries), or head to Pinang Masak for the same. Char kuey teow, a delectable plate of stir-fried rice noodles with cockles and prawns that vies with nasi lemak for status as Malaysia's national dish, in Damansara Heights. Take a cab, and be there by 2pm. Absolutely authentic (read: not toned down or prettied up for local tastes) northern Chinese food behind Berjaya Times Square on Jalan Bukit Bintang (downtown) at Restoran Dongbei, an unassuming treasure inexplicably excluded from Malaysia's Flavours magazine's most recent food guide. The place will most likely be empty; don't be concerned. An argument for lard as regular part of your diet in Pudu (not far from Jalan Bukit Bintang, downtown). Yet another laksa - coconuty and spicy, hailing from the Malaysian Borneo state of Sarawak - in Bangsar. A favorite spot for an Indian banana leaf meal - do supplement your meal with a fried fish or two - in PJ. And delightful southern Indian vegetarian dishes not far from Merdeka Square. Fish head (and shoulders - the tastiest part of the fish) swimming in a spicy-sour campur (mix) of Indian and Malay flavors in Bangsar. Need more suggestions? See the 'Kuala Lumpur and Klang Valley' category to your right. 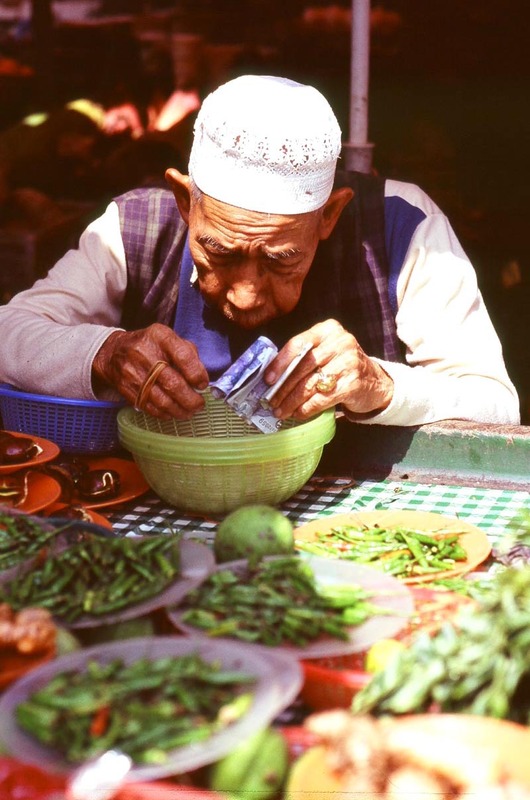 And now seems as good a time as any to share some of our favorite posts from the last 16 months: what we (EatingAsia) are about; odes to Malaysia, to Kuala Lumpur's old-fashioned Chinese coffee shops, and to Sumatra's village-y city of Padang; a tale of love for Sichuan preserved vegetable; an exposition on frog capture and consumption in rural Thailand and a photo essay illustrating pork's place in northern Thai cuisine; and an illustrated how-to for teh telur, or tea and eggs the Indonesian way. It's the time of year when thoughts turn to celebration and gift-giving with family and friends. It's also the season to consider giving something of ourselves to help those less fortunate than we are. In that spirit, Menu For Hope III, hosted by the lovely Pim, launches today on food blogs around the world. Last year Menu For Hope II raised over $ 17,000 for Asian tsunami disaster relief. This year donations will go to the UN World Food Programme, which provides hunger relief for people around the world. It's particularly appropriate that we food bloggers, who celebrate all things edible, should extend a helping hand to those for whom simply getting enough to eat is a day-to-day struggle. Food bloggers participate by donating prizes. You, our readers, can participate by purchasing a raffle ticket or ten for the prize or prizes of your choice. 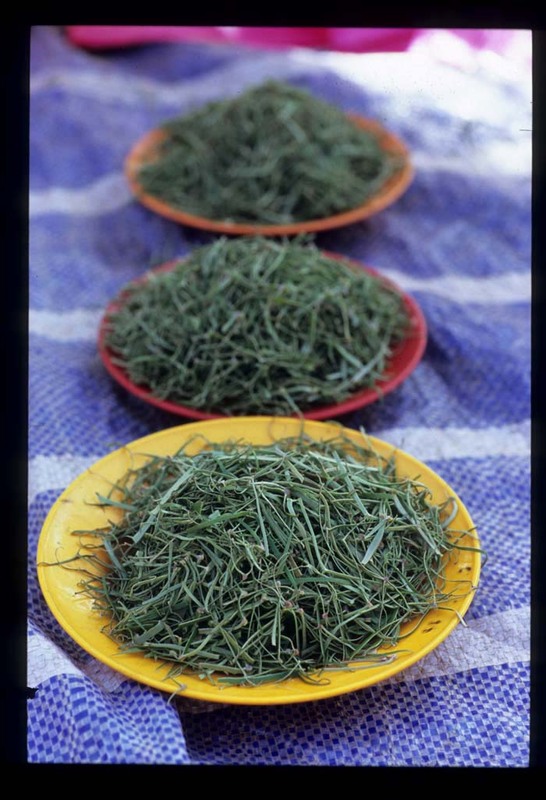 EatingAsia is offering a copy of Air Tangan Tengku Puan Pahang: Masakan Tradisional Pahang. This hardcover, coffee table-size book of 155 recipes from the eleven districts of Malaysia's Pahang state was put together by the wife of the Pahang Crown Prince. The title comes from the bahasa Malaysia phrase 'air tangan ibu', which refers to that special, undefinable taste of a mother's cooking. The recipes in this book, which is difficult if not impossible to find outside of Malaysia, are for the sort of homestyle dishes rarely found in restaurants. 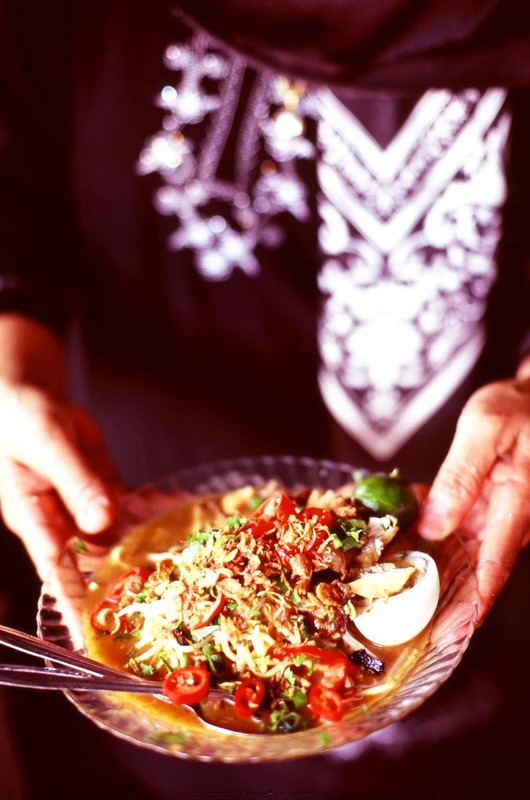 This volume - in bahasa Malaysia and English - is a must for anyone with a keen interest in Asian food and, especially, in regional Malaysian cuisine. Read more about it here. You can participate for a mere US $10, the price of a single raffle ticket. How? First, check out the other fabulous prizes up for raffle at Chez Pim - a roundup of prizes offered by Asia Pacific and NZ/Australia food bloggers can be found here. Once you've decided which prizes appeal, note your chosen prize's code (the code for EatingAsia's prize is AP32) and then go to the donation page. Take along your credit card! Donations don't touch Menu For Hope III's organizers' hands -- they are pooled by First Giving and then, when the raffle is over, will be handed over directly to the UN World Food Programme. Fill in the details - be sure to specify a prize in the personal message section of the donation form. Buy as many tickets as you'd like, and go for as many prizes as you'd like, but be sure to specify how many tickets you'd like to buy for each prize (for instance, a $50 donation could buy 2 tickets for AP01 and 3 tickets for AP02). The more you give, the better your chance of winning a prize. Don't forget to check the box that will allow Menu For Hope III's organizers to see your email, so you can be contacted if you win. The drawing will be done electronically. Check Chez Pim on January 15, 2008 for a list of the winners. US donors, remember that your donation is tax-deductible. If your company has a donation matching program, please remember to check the appropriate box on the donation form and fill in the details so that we my claim the corporate match. Remember - the more tickets you buy, the greater your chances of winning a prize! Don't pass up this great opportunity to be in the running for some wonderful food-related goodies while at the same time helping out those less fortunate. The raffle runs till December 22, 6pm Pacific Standard Time (United States). ...is that it's not foolproof. Do you know this man? If curry mee floats your boat, you darned well should. You won't often find the word 'best' in our posts. 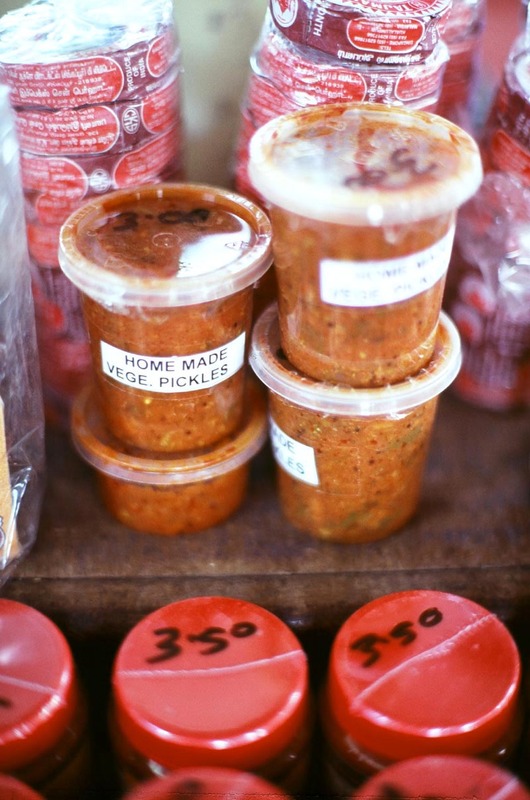 How can we know the 'best' of any food, when we haven't sampled all the versions? 'Best' is even more subjective than 'good'; label something 'the best' of its kind and you're opening yourself up to all manner of catcalls. ...we simply can't believe that this isn't the best bowl of curry mee to be found in the City and its 'burbs. 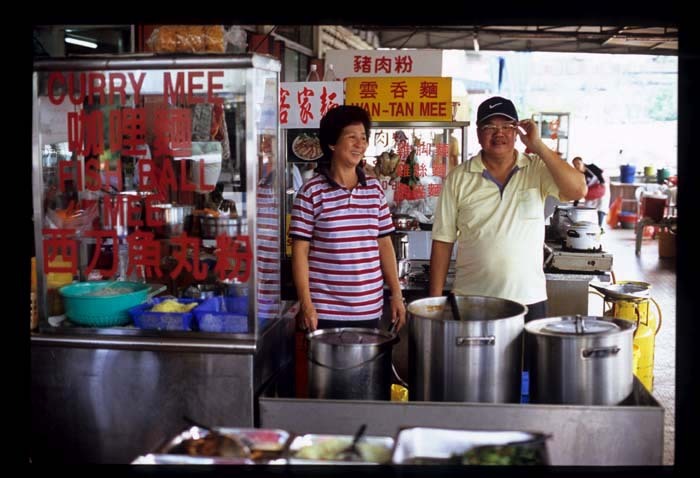 The fantastic flavors in this bowlful might lead you to believe that Steven K and his wife have been dishing up curry mee for decades. Not so. It was only seven or eight years ago that Steven, contemplating retirement from his job as world-traveling senior technician for a German printing press company, set about deciphering the curry mee code. 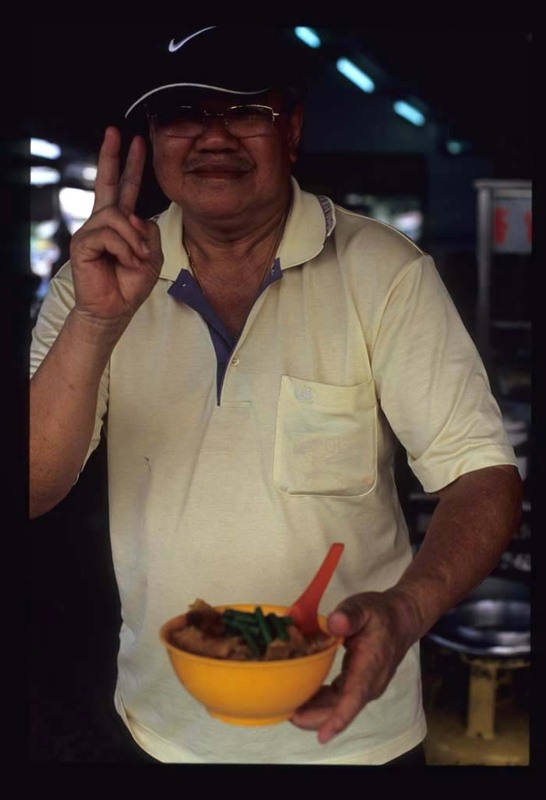 After learning technique from a curry mee shop-owning relative in Hong Kong he returned to Malaysia, tinkered with the recipe (Hongkies prefer their mee more sweet and less spicy than Malaysians do, he says), and opened his stall in Petaling Jaya's Section 17. He hasn't looked back. Business is so good that on weekends he's often sold out and closing up shop by noon. 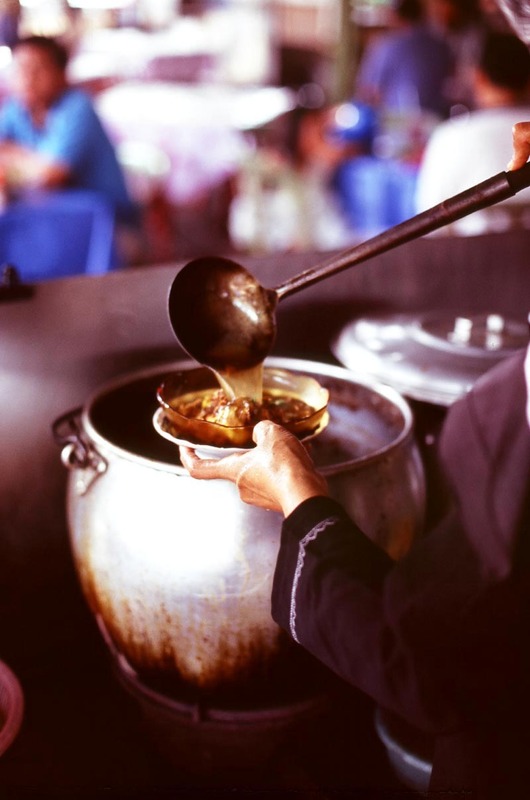 Regulars flock to his stall for the sublime curry that successfully straddles the thin line between lemak (coconut milky rich) and overwhelmingly heavy, that is far from sour but not too sweet, that dances on the tongue but isn't too spicy. 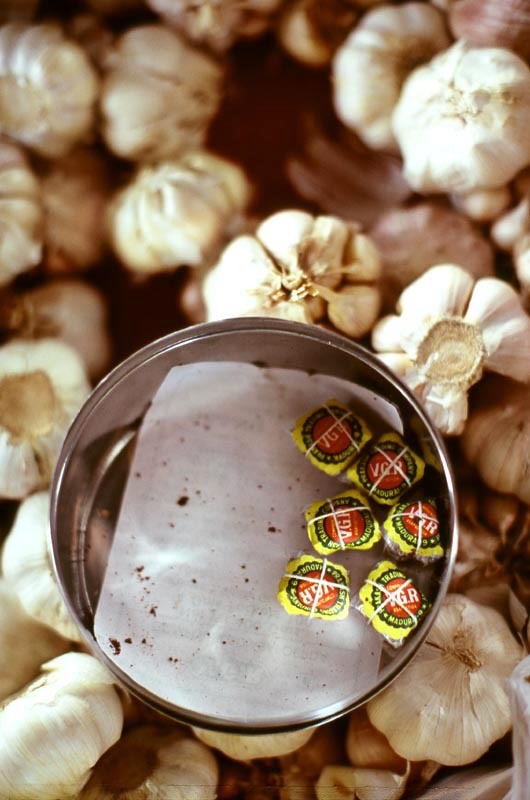 Top-notch, fresher-than-fresh ingredients are the other secret to Steven's success. He buys his seafood (blood cockles are at 6 o'clock, second photo) directly from a dealer in coastal Kuala Selangor and is involved in every step of the process that leads to a serving of curry. In addition to noodles and cockles, in a bowl of Steven's curry mee you'll find generous slabs of pork skin (not too common, these days) and fucuk (tofu skin), deep-fried tofu puffs, and - a nice touch - crisp-tender long beans. And there's more. Prawn wonton with translucent wrappers that maintain their texture even after a swim in Steven's light broth, and a perfectly toothsome filling that tastes so just-from-the-sea fresh it should be jumping. 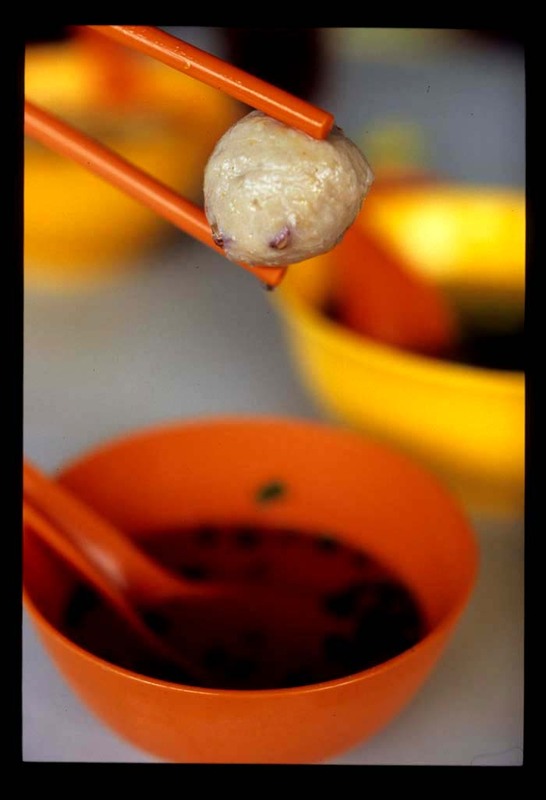 Meaty pork balls incorporating a nice bit of sotong (squid) evince a good amount of chew but no rubber-ball bounce. 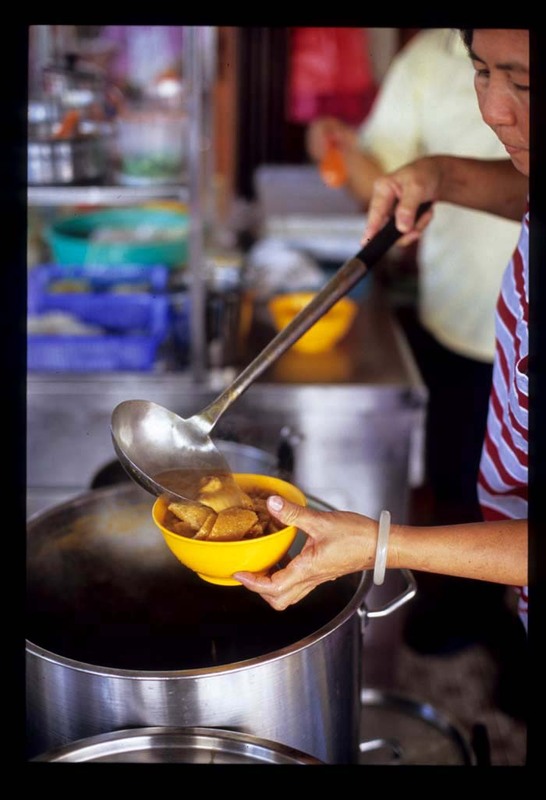 Ask Steven to add them to your curry mee, combine them with noodles in broth, or enjoy them on their own. Steven's love for his job, despite the hours - up at 3 am most mornings to cook curry, stuff dumplings, and mold pork balls - is evident. Curry mee stall, Restoran Hong Seng, right on the square, Section 17, Petaling Jaya. Closed every other Monday. Open early morning till, technically, 2 or 3pm. But best to arrive before 12 to avoid disappointment. It would be a stretch to call Tanjung Ipoh a town. This sleepy speck of a place in Negeri Sembilan state, 1 1/2 to 2 hours south of Kuala Lumpur (assuming no traffic), is barely a village, just a few old wooden buildings straddling a two-lane highway. 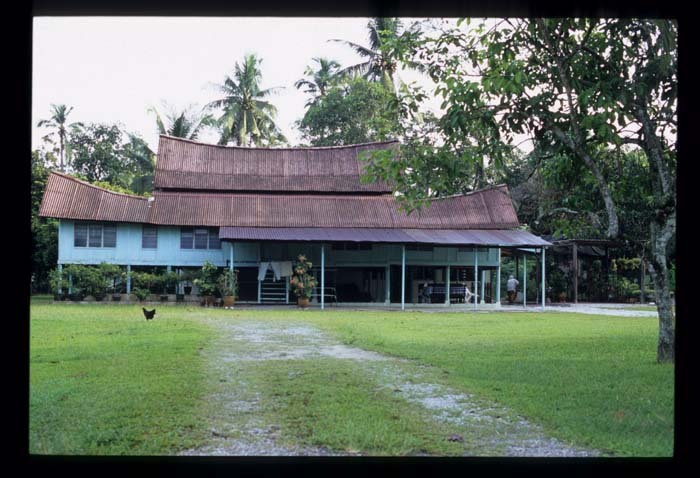 Around the 15th century Minangkabau from West Sumatra began settling in Negeri Sembilan. These days the state's population, like any other Malaysian state's, is mostly a mix of Chinese, Indians, and Malays. Yet vestiges of West Sumatran culture survive in the form of the fine collection of traditional stilted wooden houses adorned with characteristic Minang bowed roofs that dot Tanjung Ipoh and the villages around it. We're here on this Sunday morning for the once-a-week market. It turns out to be quite small by Temerloh standards, just twenty or so food stalls (and others offering assorted sundries like textiles and sunglasses) set up in a parking lot a 5-minute walk from the highway. 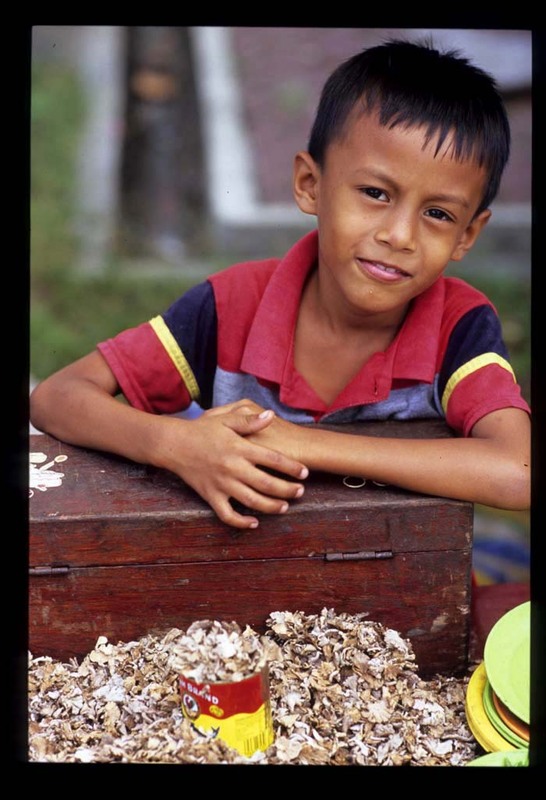 The mostly Malay vendors peddle products we know from Temerloh, like cendawan kukur, feathery fungi scraped from tree trunks (opening photo), and fresh honey. 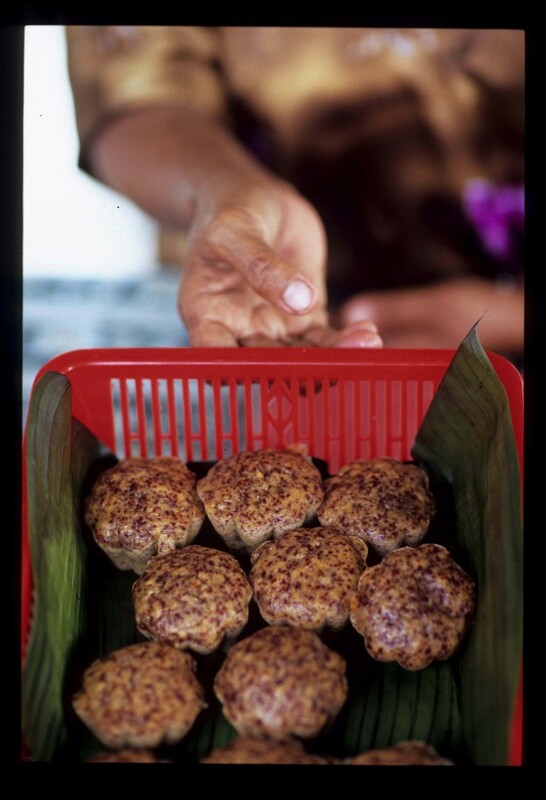 As at any Malay market there's a wide selection of kuih (sweets), like these springy banana cakes made with glutinous rice flour. But soon enough we come across foods unfamiliar. 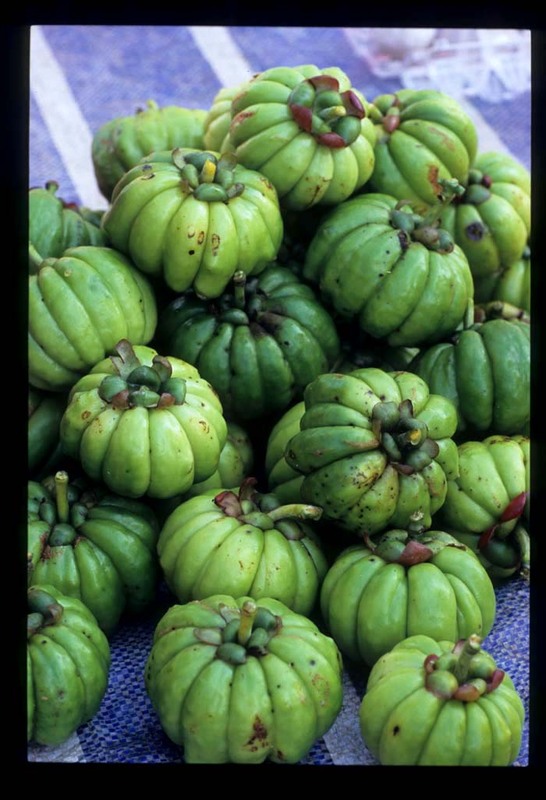 These buah asam gelugor are usually sold sliced and dried as asam keping ('sour slices'), an ingredient essential to a good laksa Penang (laksa assam). 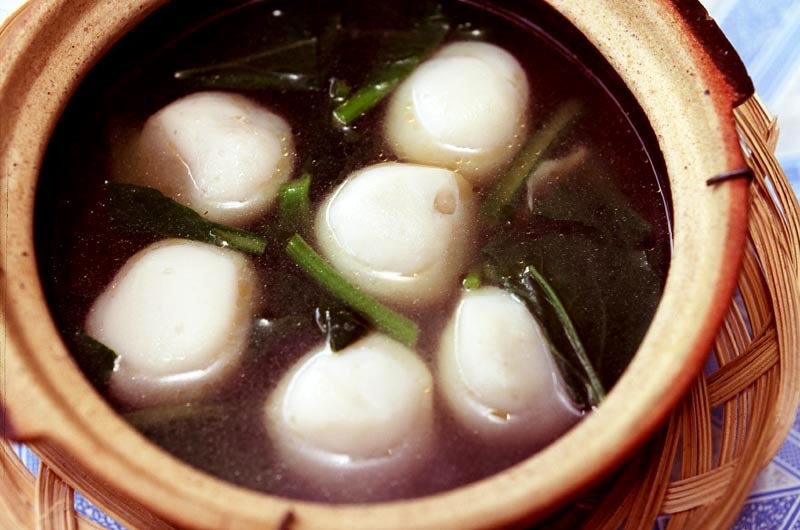 are used to add tartness, especially to lemak (coconuty rich) dishes. 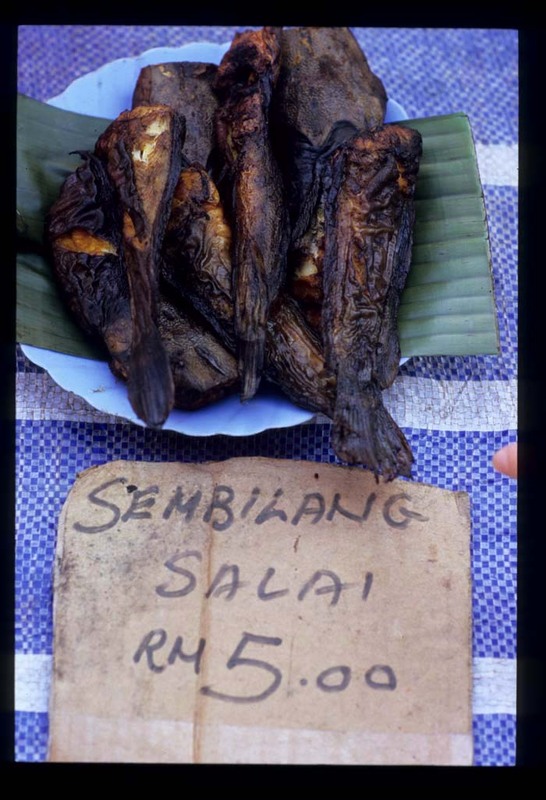 A vendor selling both leaves and the fruit also offers ikan sembilang salai (smoked catfish, known also as ikan keli; salai='smoked'). These frankly ugly specimens are which, the vendor tells us, are smoked for about an hour, turn out to be deliciously moist and fragrant, as fine as any imported mackerel. 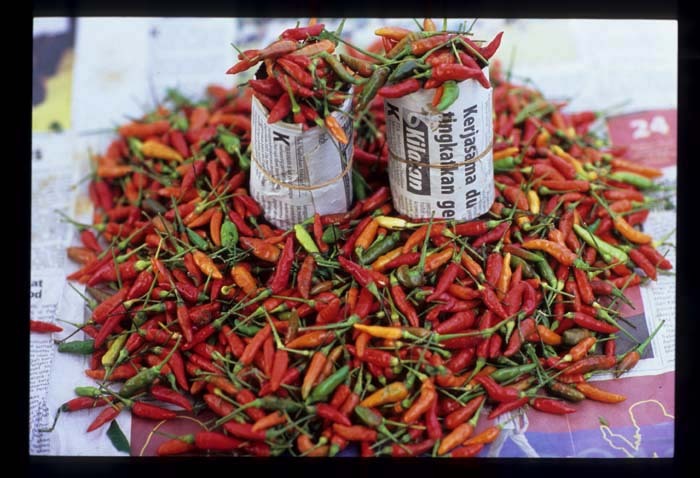 He recommends cooking them with cili padi (small, fiery chilies like the ones pictured below), turmeric, and coconut milk - no garlic, no onion, no shallots. 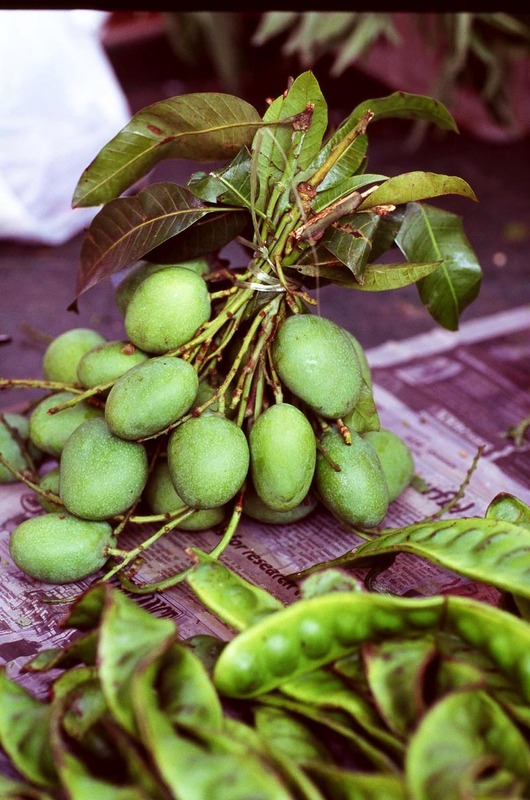 Just before serving, he advises, taste the dish for salt and tart it up with either buah asam fruit or leaves. His pitch is convincing, and we buy up the last of his ikan, as well as some chilies and fruit and leaves, splitting the haul with a friend. Back home, ingredients sit in the fridge for a couple of days till a craving for Malay food strikes. The fish requires some deboning but other than that the dish comes together quickly, a wonderful mix of smoke and sourness and coconuty sweetness. Substitute any smoked fish but salmon (mackerel, trout) for the ikan salai, and asam keping, which should be available anywhere SE Asian ingredients are sold (lime juice is a last-ditch but probably workable substitute) for buah asam gelugor or daun asam gelugor. Since moving to Malaysia I've become a coconut milk snob - without a doubt, freshly pressed is best, and it's easily and quickly achieved with either unsweetened dessicated coconut or fresh or frozen grated coconut. But canned coconut milk will suffice. Ingredient amounts are very fluid. Taste as you go. The end result should be neither overpoweringly spicy not overpoweringly sour, and the flavor or turmeric should be detectable. Expect the fish to fall apart -- the end result is a not-too-thick but quite rich shredded fish coconut 'stew', nice eaten with rice and balanced by a stir-fried green vegetable (belacan optional!). 1. Pull any bones from the fish. Leave skin on or remove it, as you like. Skin will make for a fattier and smokier dish. 2. In a mortar, pound the chilies and turmeric to a rough paste. OR, combine the chilies, turmeric, and about 1/4 cup coconut milk in a blender and roughly puree. Taste for hotness and add chilies, if desired. 3. Heat the coconut milk in a saucepan. Stir in the chile-turmeric mixture, bring the liquid to a boil, and immediately turn down to a low simmer. Let the mixture simmer to thicken a bit, about 5-10 mins. 4. Add the fish and allow the mixture to continue to simmer slowly while the fish breaks up, stirring occasionally, about 5 minutes more. 5. Taste and adjust for salt. 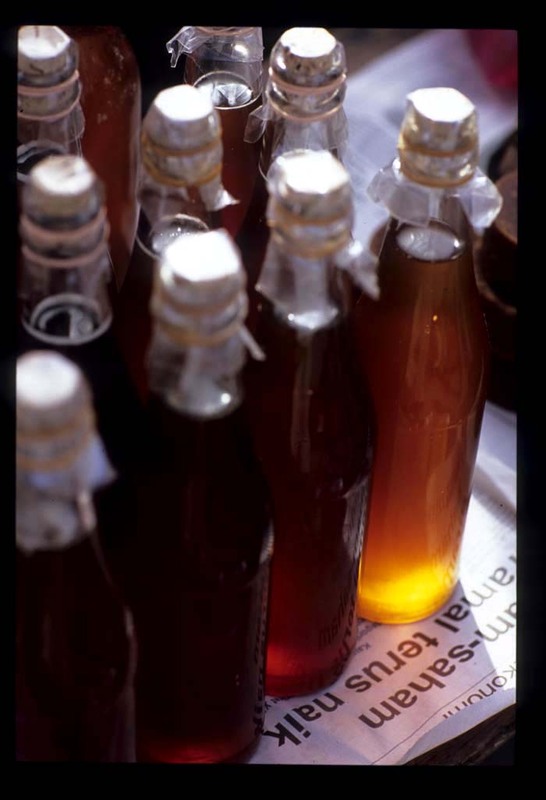 Add souring agent, half at a time, tasting as you go. 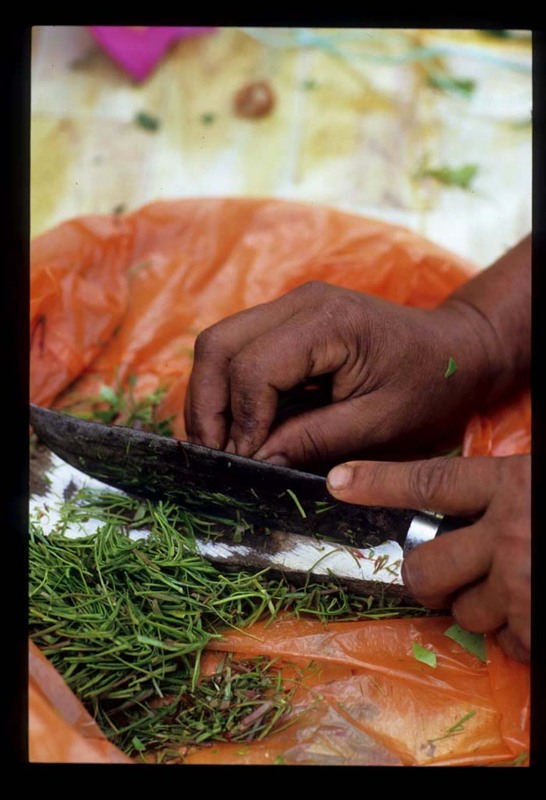 (If using leaves, you'll need to let them just soften. If using lime juice, remove the mixture from the heat first.) When the dish has achieved a nice balance of rich coconuty sweetness and tartness, transfer to a bowl. Serve hot or at room temperature. For 1 1/2 cups coconut milk from dessicated coconut, place 2 cups coconut into a pan, add 2 1/2 cups water, and bring to a simmer. Pour the contents of the pan into a blender and follow instructions as above.